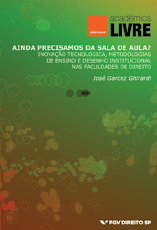 Blog do prof. Garcez: Brazil: Too Green To Grow? should not be confined to Brazilians alone. Brazil’s recent rise to prominence has come as the result of a combination of political stability, sensible economic policies and favourable market positions. The consolidation of a stable democracy in the country – after the peaceful overthrow of a military dictatorship – and with regular, peaceful and transparent elections being held since 1986, has allowed for a number of major economic reforms in the 1990s. Together, these changes slashed inflation from a mind-boggling 993.3% (1987) to 5.91% (2010), while sound economic and social policies allowed for the reduction of poverty levels. More importantly, democracy translated into the lessening of the (still enormous) gap between the richest and the poorest strata of society. In recent years, the government has been able to expand its social policies and enhance its financial position thanks to an intense inflow of capital due both to the crisis in traditional Western markets, and to a gargantuan Chinese appetite for commodities. Too much of a good thing however, can do harm. In order to translate the present bonanza into long-term sustainable growth, Brazil has to make some tough choices. Amongst the biggest forks in the road involves a choice on environmental policy. In spite of the lofty speeches and their mandatory lip service giving importance topreserving our natural resources and guaranteeing a better world for future generations, recent political decisions send mixed messages on how much the government is willing to slow down this growth, in the name of a much burdened environment. This is perhaps understandable – which is not to say acceptable – in political terms. Politicians know only too well that being responsible for somethingnot happening – say, deforestation – usually brings fewer votes than making some things happen – say, a growth in commodities exports. And governments, left and right, cannot afford to lose votes. In politics, rather paradoxically, those who avoid disasters are often less celebrated than those who make the decisions, which will ultimately make them inevitable. In Brazil, President Dilma Roussef is facing exactly this dilemma with regards to the Amazon and the place of preservation in the country’s development project. So far, the scales seem to be tipping in favour of rapid business expansion – not long-term environmental protection. Two cases involving the Amazon are emblematic of this trend: the construction of the Belo Monte plant, and the approval by the Senate of the new Forest Code. Belo Monte is a controversial project to build a hydroelectric power station on the Xingu River, an Amazon River tributary, in the heart of the forest. 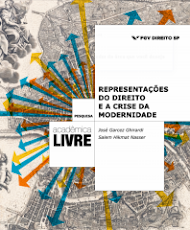 The arguments for and against the construction, all but summarise the main political trends in contemporary Brazilian political discourse on development. Those in favor argue that, if it wants to grow any further, Brazil needs more power – something few deny – and that it should take advantage of its astounding natural resources accordingly. If the Xingu River can give us 11,200 MW, why not use it? Hydroelectric energy is clean, after all, and this power station will be entirely controlled by the Brazilian government – as opposed to Itaipu, the giant plant in the south which is shared with Paraguay. A little sacrifice on environmental preservation will make it possible to create more jobs, speed up development and, ultimately, better the lives of everyone – especially the poor. Those who oppose Belo Monte see it as an icon of the deep-felt disdain economic rationales have for immaterial values. They argue that construction will flood large areas of the forest (a generally accepted likelihood), disrupt the lives of tribes in the region, and create a climate imbalance that may lead to an exodus from other regions of the Amazon. Besides this, Belo Monte is quite far from the main energy hungry industrial centers, with São Paulo almost 3,000 km from the site. The long-term gains of preserving the Amazon, critics claim, far outweigh any short-term advantage the power station may bring. The government’s adoption of a pro-business line has seen it push forward with public bidding, to contract the building of the plant after a predictably lengthy and difficult judicial battle. The NESA group (North Energy S.A.) – a consortium which includes state-owned companies – won the contract and has promised to complete the work by 2015. Some political groups still intend to fight this in court, but it seems unlikely that they will be able to prevent construction, however much they stall it. The same logic presides over the debates around the New Forest Code. Controversial from the very start, it contains provisions which will arguably pave the way for deforestation. State governments will be allowed some leeway to regularise deforested areas. Here again, environmentalist groups – and a large portion of Brazilian society – cried foul and accused the government of jeopardising the future for the sake of a quick buck. In an unprecedented show of unity, three former Environmental Ministers – each from different regions of the political spectrum – issued a joint document demanding changes in the bill. As with the Belo Monte debate, their arguments deserved a polite response from the administration; after saying it would take suggestions and thoughtful consideration, it of course decided to push ahead with the project. There are still some procedural hurdles to be overcome in Congress, but it seems increasingly likely that here, too, business considerations will prevail over environmental ones. Brazil has undeniably come a long way. The largest direct democracy in the world, with around 95 million Brazilians voting for the President in 2010, its social indicators are improving, its political culture is maturing, and the economy is growing steadily. Its celebrated BRICstatus is a testimony to the country’s rising importance in the international arena. If Brazil wants to be something more than one more powerful country however, if it wants to represent a new kind of power, it must now be extremely careful with the path it chooses. History has shown that disregarding apparently minor social and environmental losses often proves tragic, not to mention costly. The brutal effects of pollution associated with the industrial era still haunt us today. Millions, in big cities and the countryside, have suffered the consequences of governments taking these questions far too lightly. Brazil still has a chance to do differently. It still has the opportunity to set an example of not diving headlong, never-mind-the-costs, into the competition for world markets. It can decide that it seeks things other than short-term financial success. Taking this path is not easy, given the obvious pressures to do exactly the opposite. But it is the way we respond to these pressures that will ultimately reveal whether there is something genuinely new in this emerging power.